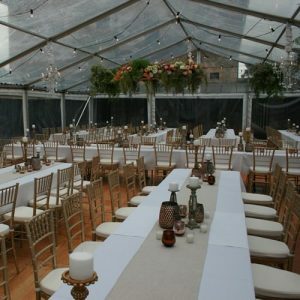 If you are looking for Tiffany Chairs to hire – we can help. 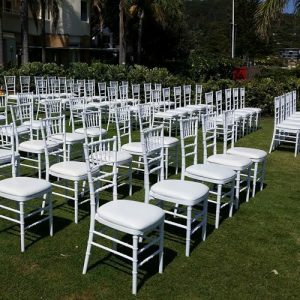 Often called the Chiavari chair, the Tiffany chair is often seen in Hollywood movies as a prop in wedding scenes and special events which can create a little bit of magic for your event. 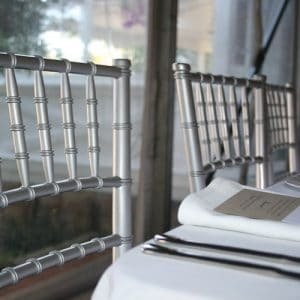 The rustic turned wood appearance, imitates old style timber chairs but with the strength of steel coated with resin, which will give you the confidence of giving your guests safety and comfort. The seat of the chair is 45 cm above the floor and the backrest is 90 cm above the floor the overall width of each Tiffany chair is 40 cm. 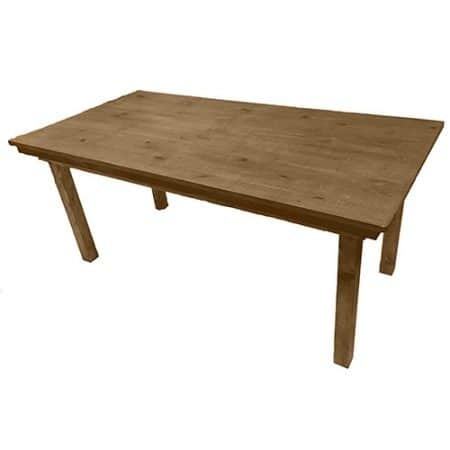 A comfortable setting is 4 chairs down each long side of a table 2.4 metres long. When calculating guest numbers it is good practice to allow a minimum of 60 cm person this allows for the shoulder with of each guest and arm movement. 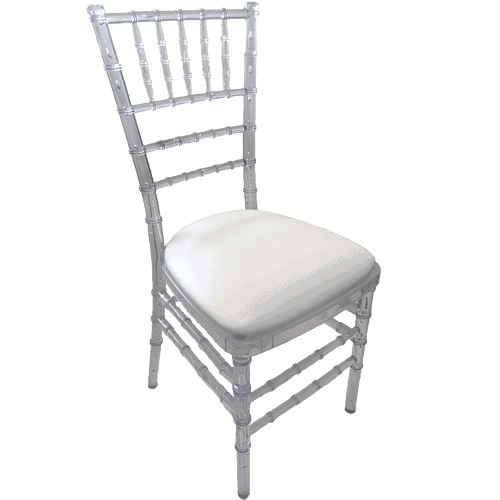 We offer the Tiffany chair in clear, white, silver and gold. 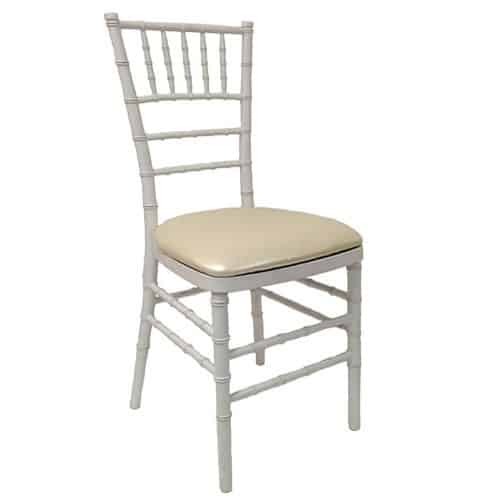 Each Tiffany chair comes with a cushion to improve your comfort and is available in cream or black. Included is a stylish cushion with Velcro attached to the underside of the cushions to make your colour selection easy. The covering of is cushion is with a soft vinyl make cleaning easy. 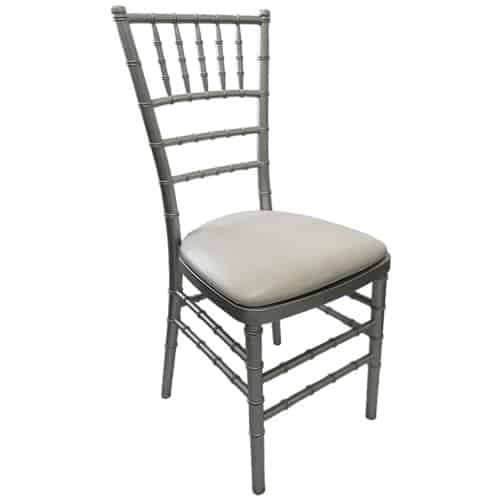 The detail and finishing of the chair and cushion is excellent and will provide a solid chair for your guests comfort. 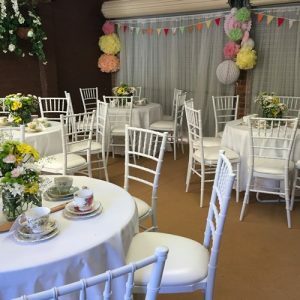 Want your event decoration to follow a theme or style? 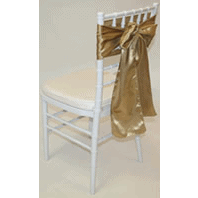 Chair sashes are perfect for you. 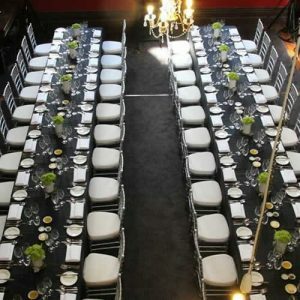 We offer a range of colours and styles to add instant glamour to your event! 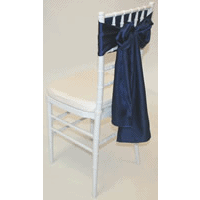 Our Sashes fit snugly into chairs and are a stylish alternative to traditional banquet chair covers. 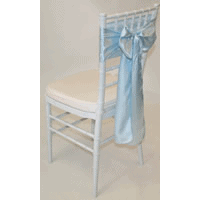 Here are a few examples of sashes on our Tiffany Chairs. 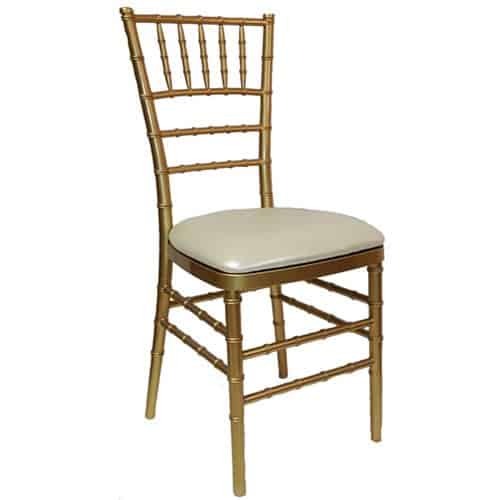 The Tiffany chair is sure to give your event the wow factor it deserves. 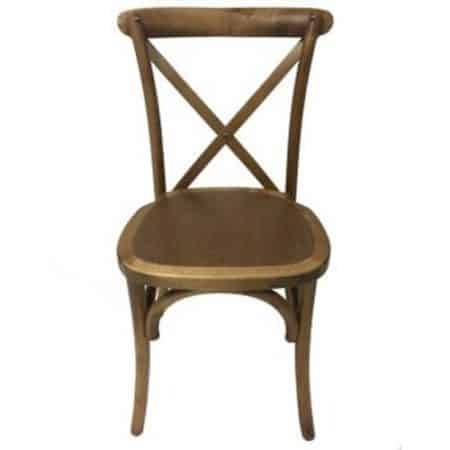 Don’t stop with the chair ask us what other furniture we have to complement this chair, Rustic tables or Banquet tables of various sizes. 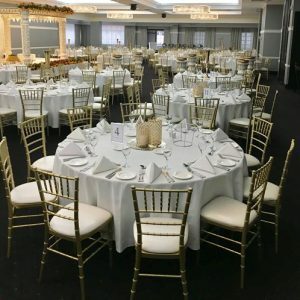 We can make for event something to remember. 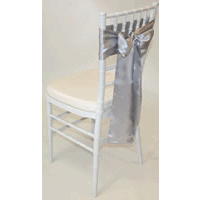 Book our Tiffany chairs for any wedding reception venue, marquee wedding or restaurant. 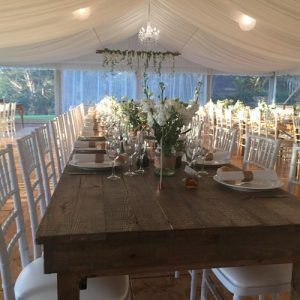 Walkers Party Hire has be operating for 56 years and has developed a knowledge of venues and their specific needs. With our local knowledge we can make your delivery and pick up seamless. 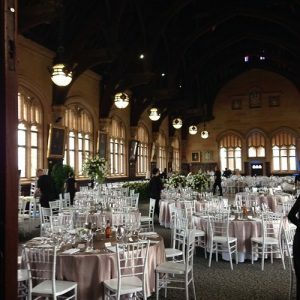 Call our office to coordinate the delivery and left us take the stress out of your event.